Food is something that unites people from all over the world. If you explore and travel, you may be stunned by the thousands of ways people cook regular stuff. We’ve collected a list of the most famous foods from the Asian region. 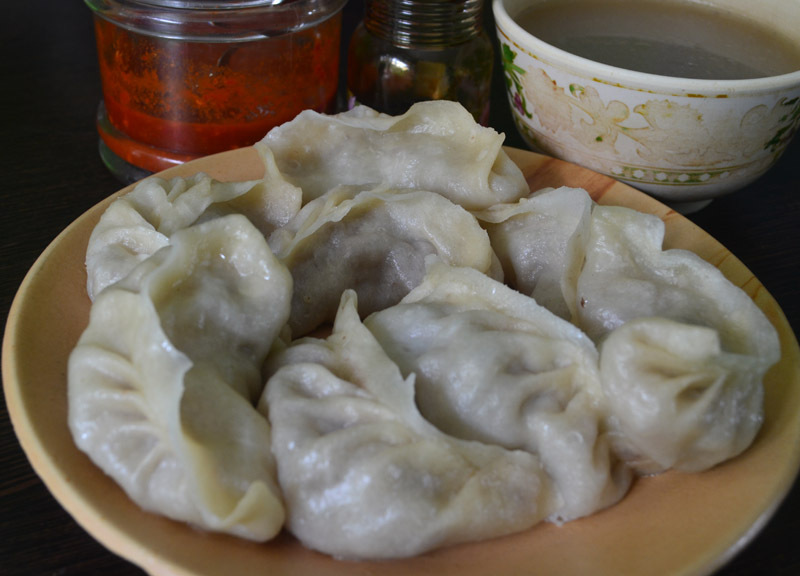 These dumplings from the Himalayas contain an influence of the Chinese tradition. You can find them in both meat and veg. They are served with optional sauces and some soup. These are mini apples that taste like sour candies. These are a popular street food from China. The haws are mostly sweet, yet you'll find some variations in the taste. Satay or Sate is an Indonesian barbecue cuisine which contains skewered meat and is served with hot peanut sauce. It is grilled on hot charcoals until the perfect texture is achieved. Kimchi is one of the most common foods of Korea. It is like ketchup and you'll find this mix of fermented veggies alongside almost every meal in Korea. It has a number of variations containing different vegetables. Asian desserts are known for containing shaved ice. 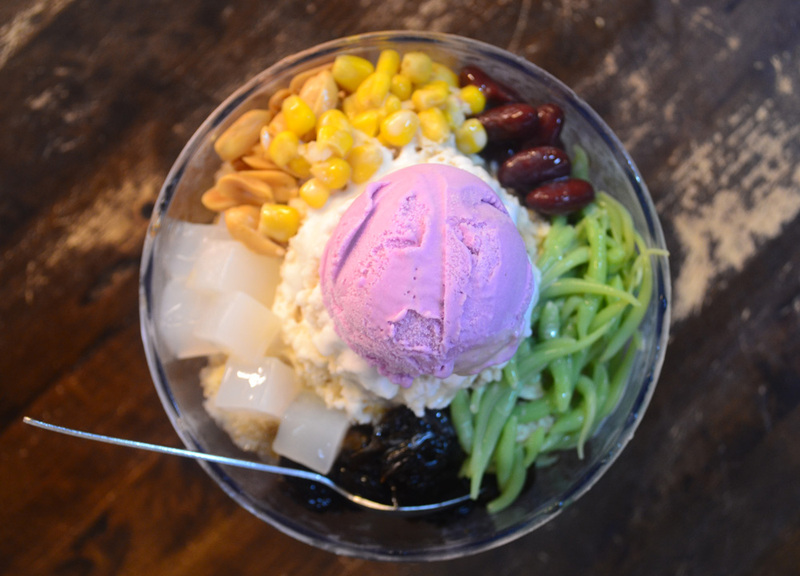 Ais Kacang is a combination of shaved ice mixed with different fruits, beans, and ice cream. The Chinese have more variations of soup than any one of us can imagine. These noodle soups contain meat toppings and mesmerizing local flavors. Toppings can vary from sausages to drumsticks in places. This Indonesian recipe contains beef that's especially stewed in coconut milk. Spices like ginger, chilies and turmeric are added. It is a dry, tasty and nutritious dish. Dim Sum dumplings are bite-sized. They are steam cooked and people prefer them as an appetizer in all of Hong Kong. Dim Sum is also served with local tea. This sign can often be seen on backpacker T-shirts. It is one of the most famous beers brand in the world and originates from Asia. You can try its variations like Beerlao Black and Beerlao Gold as well. Japan is known for Sushi all over the world. Its mostly thinly cut fish is mixed with caviar and wraps of seaweed. The taste can be enhanced with soy sauce and pickle. Nasi Kandar is a cafeteria styled serving from Malaysia. This food item can be found at mixed rice canteens with a variety of other curry options. Korean barbecue is a self-cooked job where you have to cook your own meat on a grill present at your table. Bulgogi is a rich marinated beef item which is cooked on charcoal. This BBQ is served with multiple sauces including hot chili. Vietnamese food is not for everyone, however, Bun Cha is well known across all continents. Grilled Pork is served with noodles and rice with a side of herbs and veggies. Macau's trademark egg tart offers a sweet top with a creamy center filled with egg custard. The egg tart idea comes from the Portuguese Colonial era. Chinese Noodles served with slow cooked beef are very popular in Taiwan. The beef noodles even have their own festival. Mango rice is a Thai treat everyone should try at least once. Fresh mangoes are served with coconut syrup, beans, and sticky rice. Chinese recipes are unique and yummy at the same time. This is a thin egg crepe combined with chili sauce, lettuce filing, and fried dough. Buryani is one of the most famous rice items in regions like Srilanka, Pakistan, and parts of India. The dish contains multiple layers of spices, meat, and rice. It displays the true colors of South East Asia. Massaman is the king of all curries. This curry contains slow cooked beef mixed with potatoes and fried peanuts. Occasional spices are often added as well. Gulab Jamun is among the most desired desserts in the Indo-Pak region of Asia. These are soft dumplings created from milky solids and flavored with rosewater and sugar syrup.